Do you need immediate repair services? 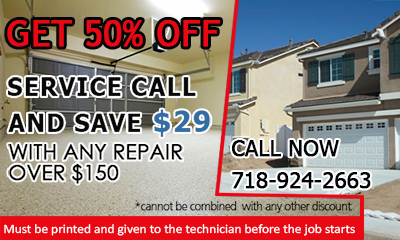 Call Garage Door Repair Forest Hills now! We provide same day services and have the capacity to troubleshoot, inspect and maintain mechanisms fast, yet methodically. Thanks to our great equipment we can provide immediate services and make sure repairs are completed in one visit. Take a look at our website now! Find out more about our services in New York and the people of our company who are ready to offer you 24/7 garage door repairs. Call us if you need supplementary information, have questions or need our immediate consultation. We're available and at your service for any problem. Call now! Each project is special! That's why our company is really committed to the needs of people in zip code 11375. We provide exceptional overhead garage door repair services, are fast, knowledgeable of the latest openers, and the best technicians in New York for maintenance.